When the good weather arrives, people typically decide to revamp their home so as to bring it more in line with their needs. If you are thinking of doing so, first pinpoint its problems and then look for the best solution. There are many ways to improve the home–by giving the walls a lick of paint, knocking down a partition wall between rooms, or updating the dining room furniture. April is also an ideal month to do this because with the arrival of the good weather, our eagerness to make changes to the home grows. Before you start embarking on the task, remember that any real facelift is dependent on what you want to achieve. Have you stopped to think why you want to revamp your home? Is your house a bit on the small side? Are the rooms a bit cramped? If the problem with your home is its size, whether we are talking about the whole house generally or its rooms, there are many ways to make the best of things. We’re not talking about redoing the entire house, but of making optimum use of the useful space. Change the layout. If your main bedroom is bigger than the lounge, why not swap them over? And if you’re prepared to knock down the occasional partition wall, why not merge the kitchen with the dining room? Interplay with the light. Good lighting is a brilliant way of creating an extra spacious feel. Use colour (white is the most useful option) and choose materials that reflect the light. Get rid of anything superfluous. Decide whether you really need a bidet in the bathroom and, if you don’t, why not change that large bathtub for a more practical shower? Take advantage of nooks and crannies. Have you thought about putting a cupboard in that space between the two columns? And what about the mezzanine? And do you really take advantage of the home’s outdoor areas? Light is absolutely fundamental–even more so, now that the good weather has arrived. 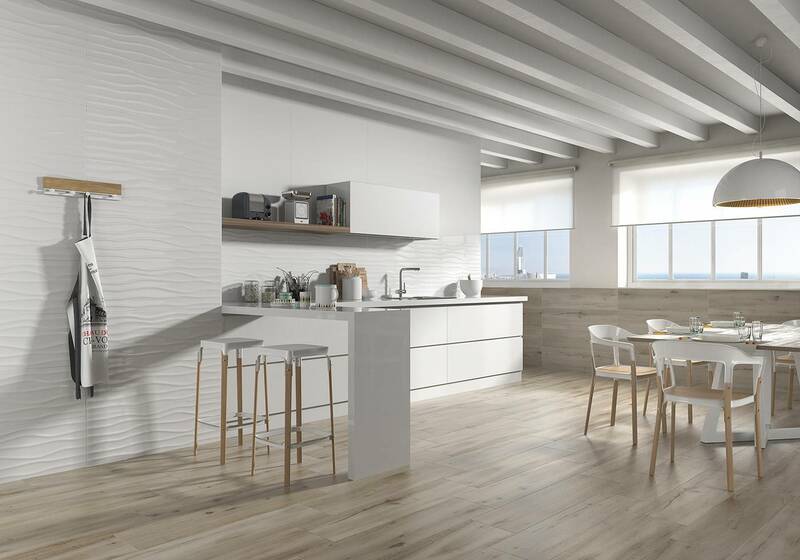 We have seen how light can influence our perception of a room’s spaciousness, as well as energy consumption. If you think the rooms in your house are too dark and you’re missing out on all that brilliance, take note of these ideas. SOLUCIÓN: Hágase la luz SOLUTION: Let there be light! Open up your home. With an open-plan layout, light flows from one area to the next. If you prefer separate rooms, then use see-through doors or folding glass walls with access to outdoor areas. Create interplay through reflections. Use glass and mirrors to reflect the light. There are other shiny reflective materials that can be used as coverings on walls, floors and other surfaces. Choose pale colours. As we said before, white is synonymous with luminosity but it is not the only colour. It looks great with beige, pale grey, aquamarine and sky blue. Windows and skylights. These are obvious solutions, aren’t they? Don’t be afraid–windows in roofs, walls and sloping surfaces are more in vogue than ever before and they can be found in all decorative styles. When you walk into the bedroom, do you notice a change in temperature? Is the kitchen countertop hard to clean? Don’t lose your cool! In reality, all these functional problems can be solved. They just need a little planning. Choose materials that retain the temperature. An imitation wood floor for bedrooms or encaustic cement tiles for the bathroom wall will save on heating costs. Make the most of the available natural light. Perhaps your house faces the right way, but you miss out on many hours’ natural light due to a lack of windows, with the ensuing high electricity costs. Look for cleaner surfaces. 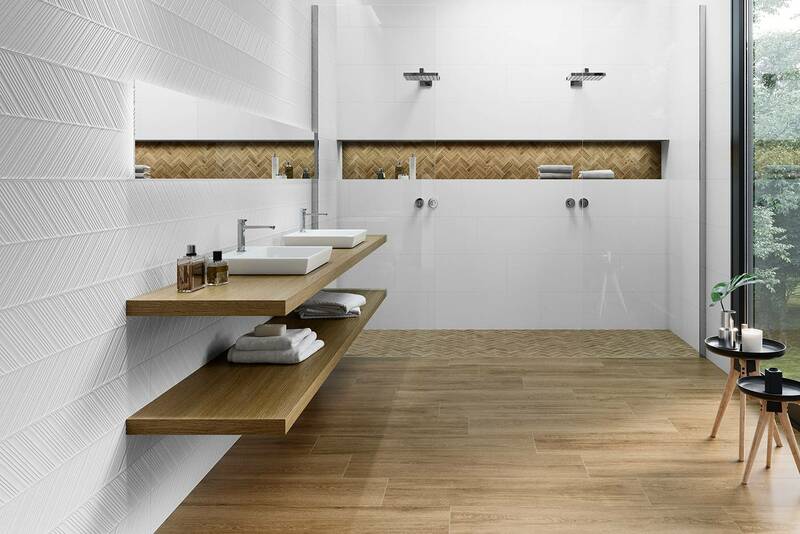 Some materials have advanced properties that help to ensure maximum cleanliness, such as Superwhite anti-microbial wall tiles. Take into account how much care materials need. If you are thinking about changing the paving on the terrace, make a coherent choice. 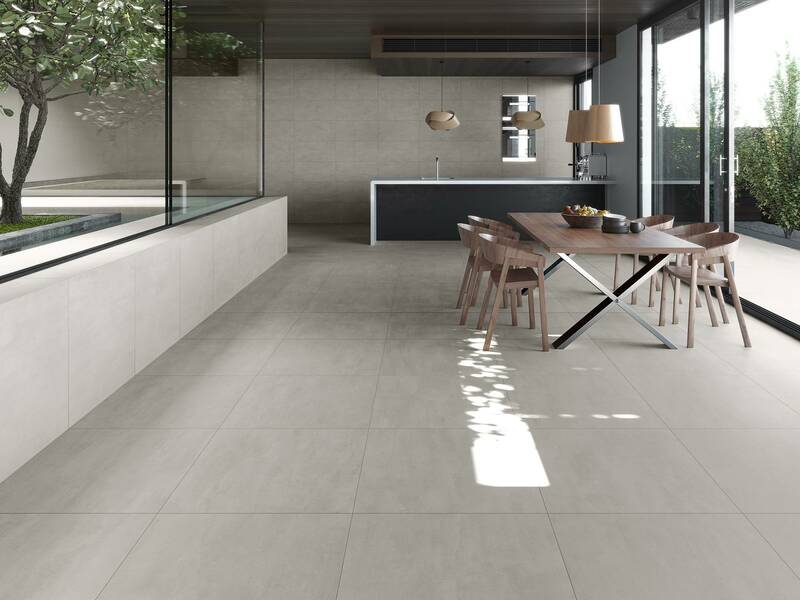 Ceramic tiles are long lasting and require very little care. It’s not that you don’t like your home–you just don’t like it as it is at the moment. Maybe it has been a long time since you last gave the house a facelift. This is something that you can easily put right without too much expense. Have a look at the latest trends and let your instinct guide you. Be daring with colour. Spectacular results can be achieved by using neutral colours as a base and adding a dash of colour. There are guides to combining colours (do you know what the Pantone colours for 2019 are? ), although you can also test colours out, play around with them and imagine possible combinations. 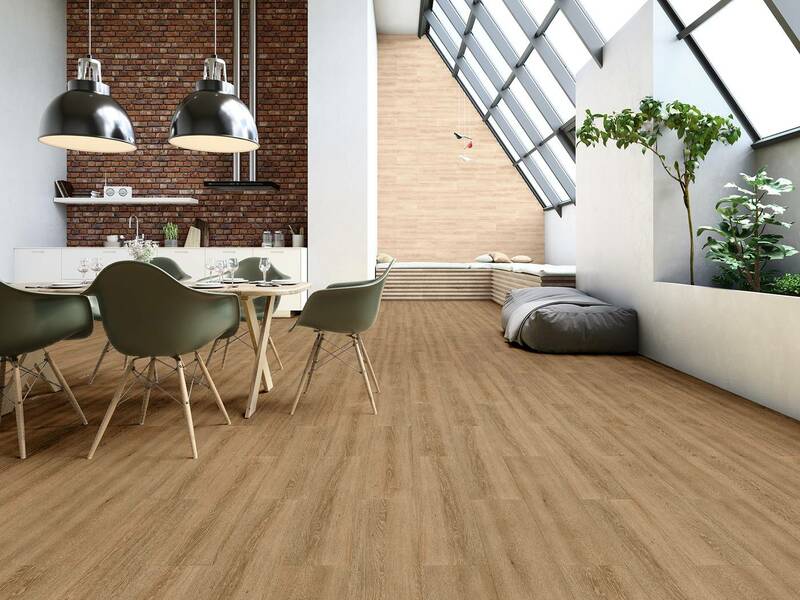 Renew your walls and floors. A textured wall covering can change a room completely, just as a wood floor can bring warmth to rooms.
. Give your kitchen and bathroom a new facelift. This can range from replacing the tiles and countertops to painting the cupboards or changing the door pulls. A touch of metal here and there can give rooms a very in-vogue appeal. Don’t forget the finer details. Change the fabrics, like the curtains and cushions, and add more plants because they always bring living spaces to life. Pamper your home and add a personal touch by putting your own special hallmark on it. In short, if you’re planning to revamp your home, first decide on your goals. Experts recommend drawing up a list of priorities so that you can carry them out in order of necessity, depending on your budget. Identify the problems in your home and look for the best way to solve them. That way, you’ll make definite improvements to it.